We are Manufacturer & Exporters of Carbon API 5L X42 Seamless Pipe, API 5L X42 LSAW Pipe, Carbon API 5L X42 PSL1 ERW Pipe, Carbon Steel API 5L PSL2 Welded Pipe Supplier in India. The seamless process of Carbon Steel API 5L X 42 PSL 1/ PSL 2 Line Seamless Pipes is a process of hot working steel to form a tubular product without a welded seam. If necessary, the hot worked tubular product of Carbon API 5L X42 PSL 1 Line Welded Pipes may be subsequently cold finished to produce the desired shape, dimensions, and properties. API 5L X 42 PSL 1/ PSL 2 Line Pipe s is used in the most critical engineering applications and also in certain applications in the automotive sector. In addition, some of the value-added carbon steel products include steel for LPG cylinders, API grade, corrosion resistant steel, precision tubes and medium/high carbon grades, among others. Meanwhile, our Carbon Steel API 5L X 42 PSL 1/ PSL 2 Line Pipes is available in different sizes, specification & thickness as per the clients’ customized requirements. 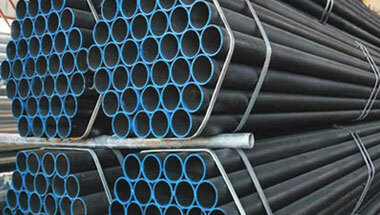 We also offer these Carbon API 5L X 42 PSL 1/ PSL 2 Line Welded Pipes in quite reasonable rates to our valuable customers. API 5L X42 Line Pipe, API 5L X42 Seamless Pipe, Carbon API 5L X42 PSL1 Welded Pipe, API 5L X42 ERW Line Pipe, API 5L X42 PSL 2 LSAW Line Pipe Manufacturer in India. Indonesia, Sri Lanka, Egypt, Kuwait, Israel, Turkey, Saudi Arabia, Algeria, Dubai, Brazil, UAE, Morocco, South Africa, Ethiopa, Chine, Africa, Germany, Colombia, Vietnam, Tunisia, Canada, Cameroon, Mozambique, Iraq, Nigeria, Bahrain, Houston, Sudan, Iran, Democratic Republic of the Congo, Trinidad and Tobago, UK, Angola, Uganda, Thailand (Bangkok), Kazakhstan, Jordan, Venezuela, Russia, London, Peru, Australia, Argentina, Malaysia, Mexico, Ghana, New Zealand, United States, Italy, Azerbaijan. New York, Dammam, Lagos, Benin, Kampala, Mogadishu, Port Elizabeth, Muscat, Omdurman, Bethlehem, Dar es Salaam, Tel Aviv, Maiduguri, Algiers, Bulawayo, Kinshasa, Giza, Doha, Alexandria, Jerusalem, Kolwezi, Luanda, Brazzaville, Istanbul, Harare, Manama, Mbuji-Mayi, Nairobi, Douala, Port Harcourt, Cairo, Amman, Hong Kong, Yaoundé, Soweto, Ibadan, Dakar, Casablanca, Zaria, Freetown, Colombo, Ouagadougou, Kaduna, Data from the UN, Pretoria, Lubumbashi, Bamako, Sharm el-Sheikh, Dubai, Byblos, Cape Town, Maputo, Abu Dhabi, Conakry, Durban, Tripoli, Beirut, Addis Ababa, Rabat, Riyadh, Mecca, Abidjan, Kano, Tehran, Aqaba, Antananarivo, Cairo, Lusaka, Fez, Singapore, Khartoum, Accra, Subra al-Haymah, Jeddah, Johannesburg.